Grand Reopening of 13th Street ! … We are reopening the brand new NE 13th street on Saturday Oct 21 with a big, big shindig …. 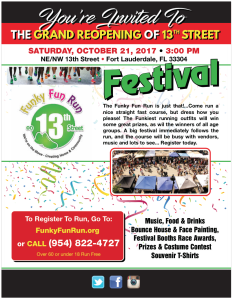 starting at 3 pm, walk or run the length of the street with us in the Funky Fun Run (go to funkyfunrun.org to register). 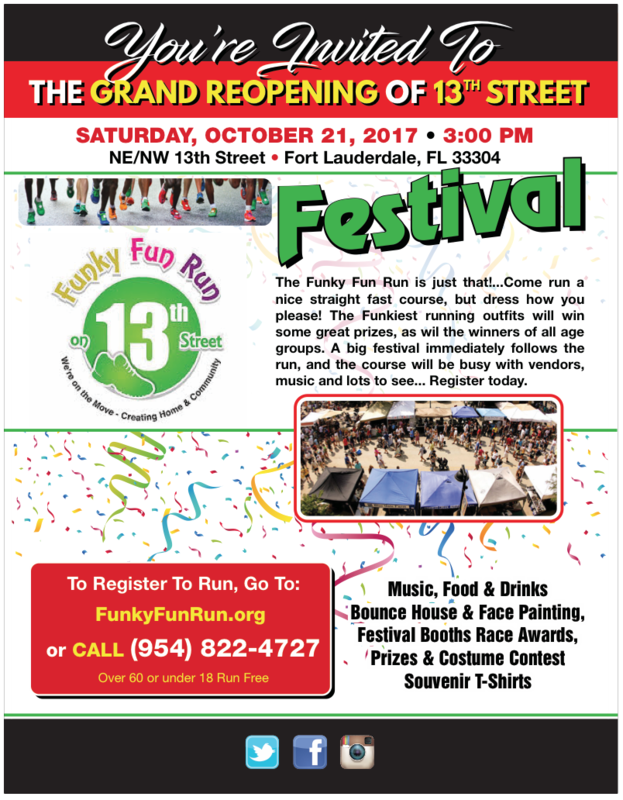 then we cut the “official” ribbon, then the party is on …..nationally recognized blues band – Blues Riders, lots of food and booze choices, a pet parade and doggie contests, vendor booths, art, pony rides for the kids, so much fun it should be illegal !